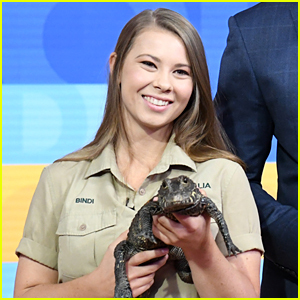 Bindi Irwin: AACTA Awards 2014 in Sydney | Bindi Irwin | Just Jared Jr.
Bindi Irwin is all smiles as she arrives at the 2014 AACTA Awards Ceremony held at The Star on Thursday (January 30) in Sydney, Australia. The 15-year-old wildlife conservationist was joined on the red carpet by her mom Terri. “Speaking Irish all day today! Getting ready for St. Patrick’s Day @AustraliaZoo. Mum said that I’m starting to sound like a pirate…,” Bindi recently tweeted. As Australia’s highest film and television Awards, the Australian Academy of Cinema and Television Arts (AACTA) Awards are Australia’s equivalent of the Oscars and the BAFTAs. Ahh, so pretty and all grown up. time flies.